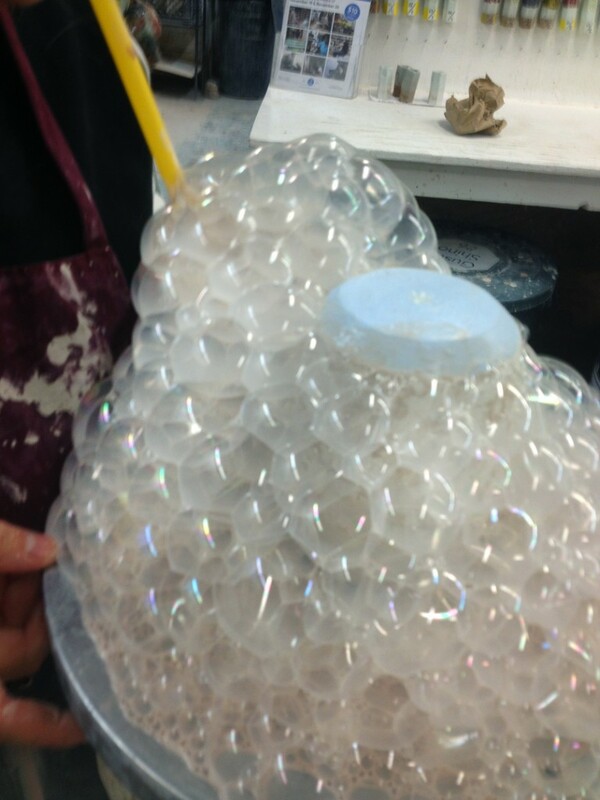 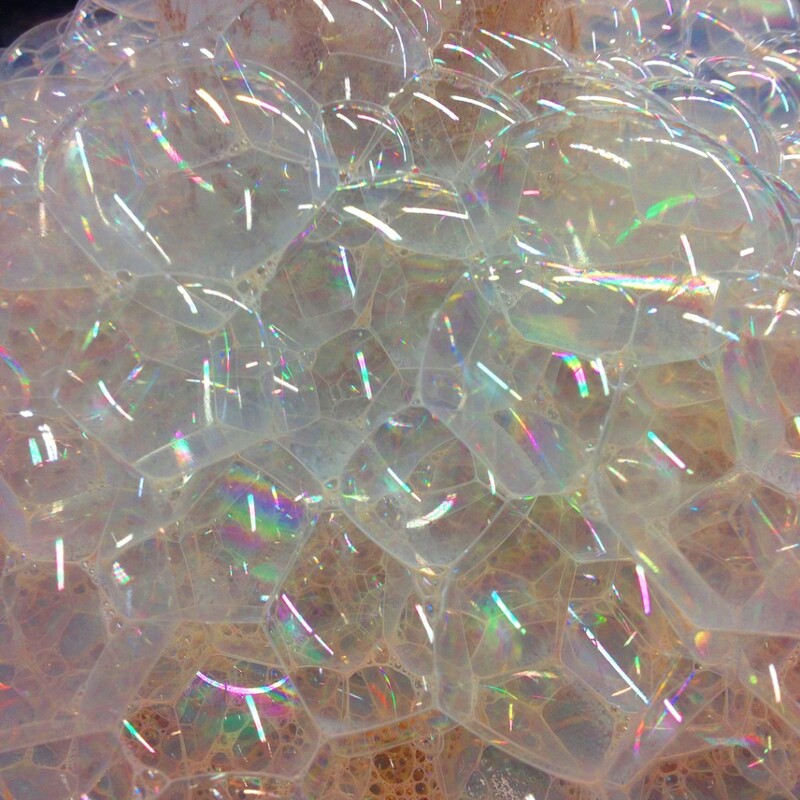 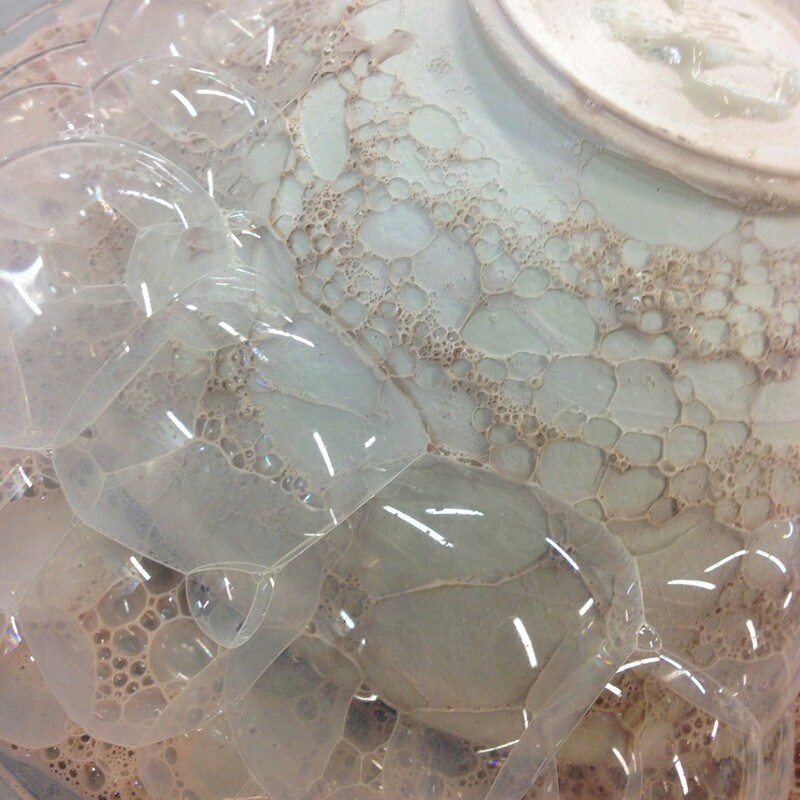 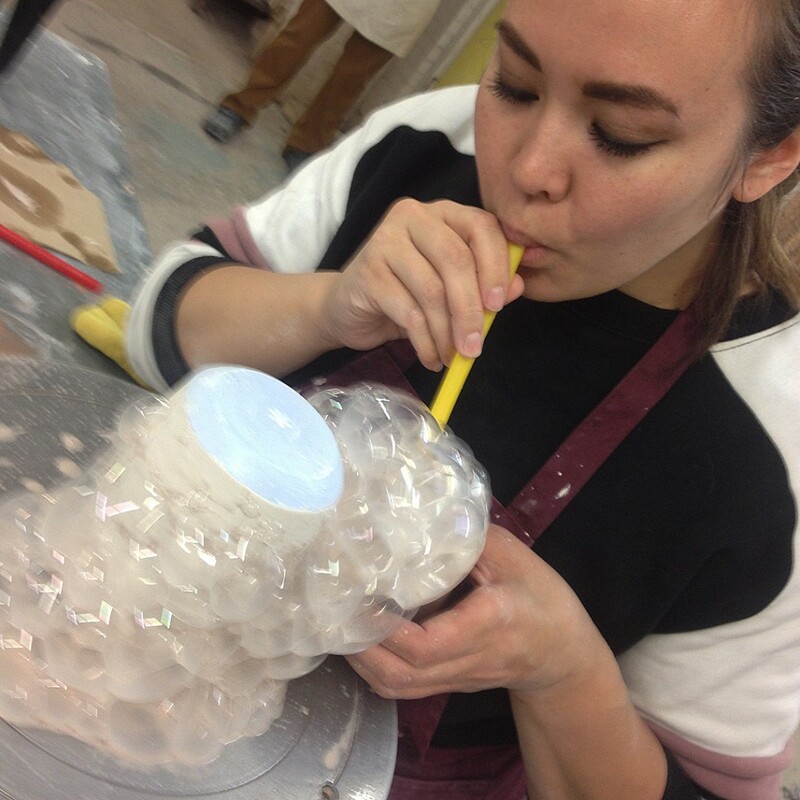 This week in my pottery class, I showed them some more interesting glaze techniques, tricks & possibilities… including everyone’s favorite novelty… BUBBLE GLAZING!!! 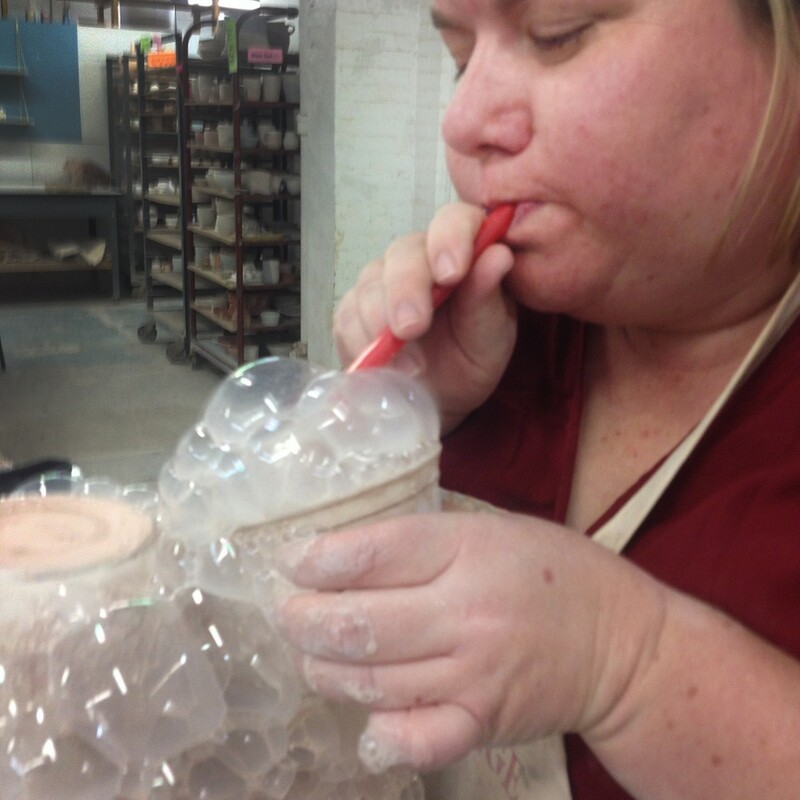 Just a little dishwashing soap in your glaze and a plastic straw to get it going! 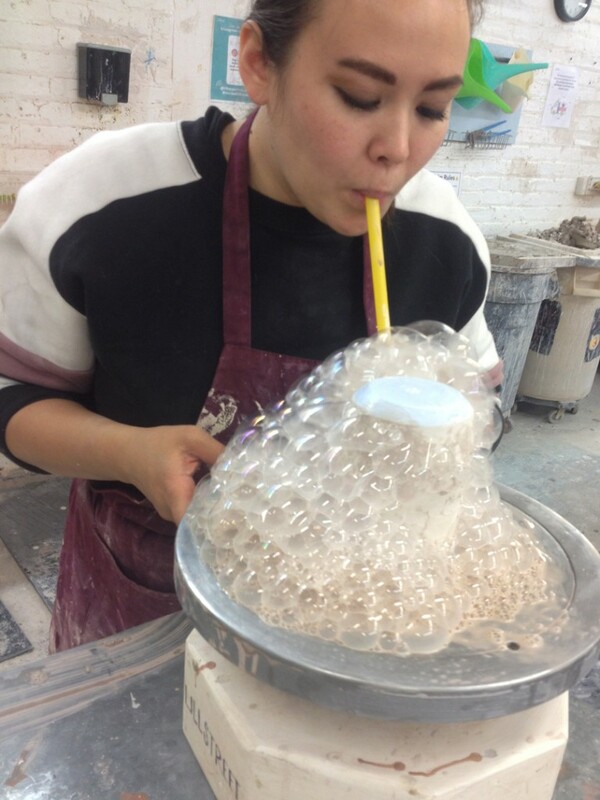 And when the bubbles pop, you’ve got a pretty sweet glaze application! 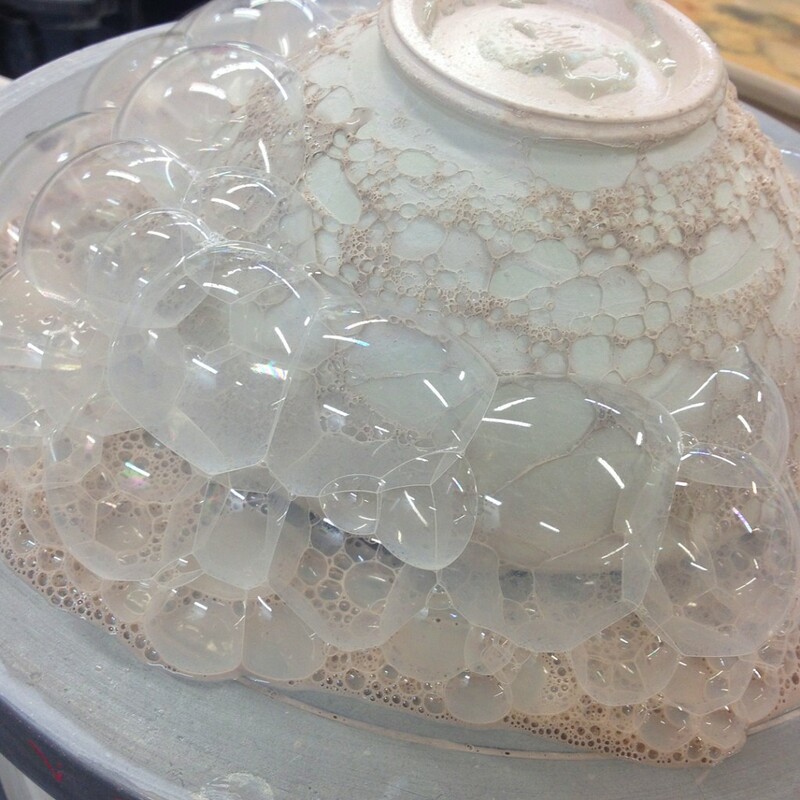 And when the bubbles pop, you’ve got a pretty sweet glaze application!